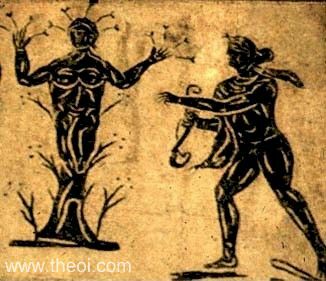 The nymph Daphne is transformed into a laurel-tree. She is depicted in the process of metamorphosis with her legs replaced by a trunk, and head and arms sprouting branches. The god Apollo, holding a bow, reaches out to grasp her.